Not every place around Kolkata is blessed with the beautiful presence of nature in the form of lush greenery and waterbodies. However, Mukutmanipur is assuredly amongst those places in West Bengal which are filled with the surprises of nature - be it wildlife parks, lakes or any historical place. 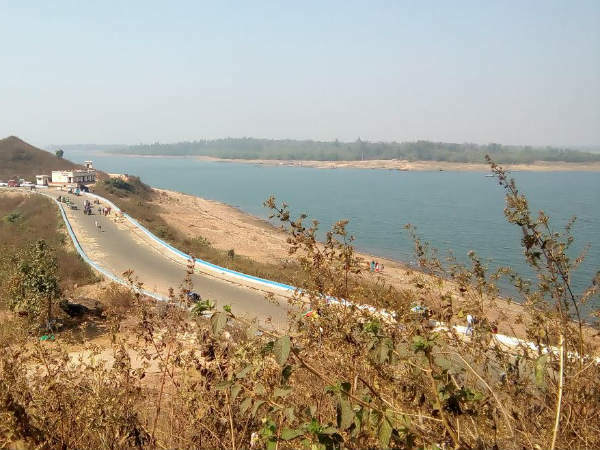 Located at the conflux of Kumari and Kangsabati river in the Bankura district, Mukutmanipur is famous for its beautiful surroundings and hence, is a major tourist spot in the region. Even though it is popular for its beautiful reservoir lake and its peaceful environment, where tourist come to spend their weekends, it is also home to several other beauties in the form of wildlife and green vegetation. So, how about planning a trip from Kolkata to Mukutmanipur this season? Read on to know about places to visit in Mukutmanipur and how to reach it. During the summer season, the weather in Mukutmanipur becomes hot and hence, tourists do not prefer visiting Mukutmanipur during this period. However, the best time is from October until the end of April as during this period, the temperature does not exceed the average level, thereby, maintaining a cool and pleasant climate. By Air: The nearest airport from Mukutmanipur is at Kolkata at a distance of around 265 km. By Rail: There are no direct trains available between Mukutmanipur and Kolkata. Hence, you need to take a train to Bankura railway station, which is located at a distance of around 52 km from Mukutmanipur. Once you have reached the station, you can hire a cab or catch a bus to Mukutmanipur. By Road: Prospering peacefully at a distance of around 265 km from Kolkata, Mukutmanipur is easily accessible by road. It will take you an average time of 5 hours 30 minutes to reach Mukutmanipur. However, route 1 is preferable as it takes an average time of 30 minutes lesser in comparison to other routes. Through route 1, you can reach your destination within 5 hours. On your way to Mukutmanipur, you can also take a break at Bardhaman and Bankura. Bardhaman is one of the oldest-living places in West Bengal. It is believed that it has been in existence since the Stone Age. Being such an ancient place, you can find several places of interest in and around the region of Bardhaman. The presence of Damodar river and green surroundings makes this town a weekend destination to relax and chill. Curzon Gate, 108 Shiva Temple, Damodar River Beach and Christ Church are a few major places which you must not miss visiting while in Bardhaman. Bankura is famous for the presence of terracotta buildings and the production of Baluchari sarees, which have mythological drawings and pattern as its authenticity. It has been living since the time of the epic Mahabharata, when it was known as Suhmobhumi. If you are planning to take a break at Bankura while on your way to Mukutmanipur, then it is advisable to not miss visiting its terracotta buildings, natural places and other historical places, such as Jor Mandir, Hawa Mahal, Susunia Hill and Biharinath Hill. Once you are on the lands on Mukutmanipur, you will be open to a region of peaceful surroundings with the presence of waterbodies, green vegetation and several other historical sites. If you are looking to make your journey interesting and exciting, then you shouldn't miss the following places. Read on to know, in detail, about these tourist spots in Mukutmanipur. Kangsabati Dam is the most significant tourist spot in Mukutmanipur and is visited by thousands of tourists every month. Being the second largest earth dam in India, it is also rich in aquatic life. Your journey to Mukutmanipur is certainly incomplete without witnessing the grandeur of Kangsabati Lake. From photography to boating, there are a lot of things to do in and around this beautiful reservoir lake. Another major place in Mukutmanipur which you shouldn't miss is Deer Park. Located amid Kangsabati Dam, it is a perfect place for family outings. You can take a boat and reach the other end of Mukutmanipur Dam where Deer Park is located. Being surrounded by rich vegetation and home to numerous deer, it is also an ideal place to spend your weekend in Mukutmanipur. You can also spot several species of colourful birds here. Apart from savouring the beauty of its sparkling lake and capturing the beauty of Deer Park, you can also explore several other places which are located around Mukutmanipur. Ambikanagar is one such destination which is popular as an important pilgrimage site in Jainism and is also known for its handicrafts and bamboo products. If you are looking to explore beyond the boundaries of Mukutmanipur, then you can also visit Parasnath Hills in the state of Jharkhand which is famous for its Jain temples and is one of the significant pilgrimage sites in India for Jains. However, you can also find a small hillock named Parasnath Hill in Mukutmanipur, which is famous for the presence of several Hindu and Jain deities. These deities were found while digging to construct this Kangsabati Dam.